Aug. 31, 2017 2:14 p.m.
From shopping carts, to bikes, to blankets, the items strewn about the streets of Kelowna appear different depending on the eyes that view them. A project that is more than a year in the making aims to show the other side of Okanagan-lifestyle, and what it is really like for those who have been affected by homelessness. See: Kelowna takes the stories of the most vulnerable people in the community, those whose voices often go unheard and whose situations are often misrepresented. In the past several months Lesley-Anne Evans with Metro Community Church in collaboration with Kelowna Museums, handed out disposable cameras to those who wanted to get involved and asked them to tell their story with photos. The project aimed to ask thought provoking questions that would makes those who viewed the photos think about homelessness differently. “So people would personalize it (the experience) and own it,” explained Evans. Evans worked to build a relationship of trust with each of the participants in the project and invested her time into each person and their story. One of those stories was from Diane Larzback, who used to live on the streets of Kelowna but has since found an apartment of her very own. 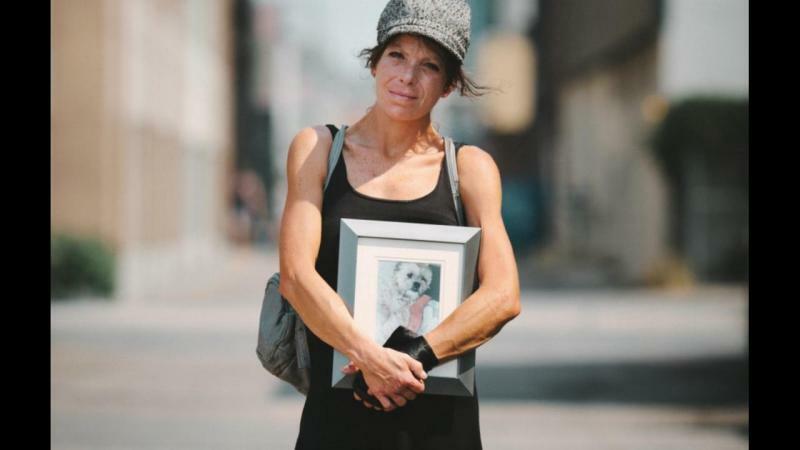 She said she participated in the project in order to tell the stories of those she has lost to overdoses or the street in previous years. She sees art as a type of healing, and when she was taking photographs of her former life on the street the process helped to heal old wounds. You can find each participant’s favourite photo on a postcard in the SEE: Kelowna exhibit at the Okanagan Heritage Museum.